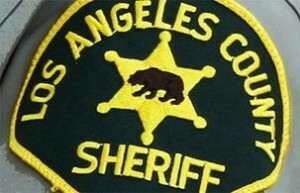 LOS ANGELES – The Los Angeles County Board of Supervisors voted Tuesday to pay $11.75 million to the family of a bicyclist struck and killed by a sheriff’s deputy who was typing a message while driving. Milt Olin Jr., an entertainment lawyer and former Napster executive, was riding east in a bike lane on Mulholland Highway in Calabasas when he was struck around 1 p.m. on Dec. 8, 2013. Deputy Andrew Wood was driving east on the highway at about 45 mph after checking out a call about a small brush fire on the Calabasas High School baseball field. Wood was updating a co-worker by typing on the patrol car’s mobile digital computer when the road curved slightly left and the patrol car crossed into the bike lane and hit Olin, according to a summary provided to the board. Olin was thrown from the bike and crashed through the windshield of the patrol car before falling onto the road. An off-duty paramedic driving behind the crash tried to provide emergency aid but quickly determined that Olin was dead. The settlement is one of the largest ever paid out by the county. County attorneys urged settlement based on the risks and uncertainties of litigation. On Aug. 27, 2014, District Attorney Jackie Lacey declined to bring any criminal action against Wood, finding insufficient evidence to support a charge of vehicular manslaughter. “Although the MDC inquiry and response were not of an emergent nature, the law does not limit officers from using an electronic wireless communication device in the performance of their duties to situations involving emergencies,” the D.A.’s office said in a statement. An internal investigation found the deputy’s actions violated policy and some unspecified “appropriate” administrative action was taken against Wood, according to the board summary. Preventable traffic collisions are down significantly at the Malibu/Lost Hills station since the date of the crash, according to the sheriff’s department. The department also created an ad hoc committee to address the need for better training on distracted driving and 21 of the committee’s 34 recommendations have since been adopted. Other recommendations are being evaluated or awaiting funding. Following her husband’s death, Louise Olin established a foundation in his name to increase awareness of the dangers of distracted driving. The foundation developed a smartphone app called HandsOff, which rewards users for driving hands-free. Olin and her attorneys plan to hold a news conference Wednesday to talk about the settlement and say they will also disclose previously unreported alleged improper conduct by Wood. 3 comments for "L.A. County to pay out $11.75 million in deputy texting while driving lawsuit"
“An off-duty paramedic driving behind the crash…” is why there was a settlement. Without an eye witness the bike swerved in front of the cop. I knew you’d comment on this one, LOL. Vehicular manslaughter is vehicular manslaughter. Police need to be held accountable like everyone else and set an example, not flaunt their immunity from prosecution. “Do as I say, not as I do” does not cut it. Bad look and a significant reason why they are losing touch with their community. It would be tough to get a conviction, since police are actually exempted by law from the law about texting while driving, not just given their usual “no enforcement against law enforcement” pass. It would be nice to have seen at least a pretense about trying though.